Designed with both the patient and the clinician in mind, ARGYLETM Umbilical Vessel Catheters (UVC) sets the standard of care for premature infants. The ARGYLETM product portfolio includes single, dual and triple lumen UVCs and a full line of NEO-SERTTM insertion trays. All products are latex and DEHP free. UVCs benefit the patient by reducing the need for painful venipunctures and provides double or triple the access of a single lumen catheter. This allows simultaneous multiple therapies from one device. The NEO-SERTTM insertion trays provide everything needed for the procedure in one preassembled disposable tray. 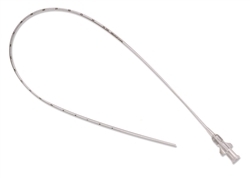 The UMB-ETM catheter anchor provides a convenient, safe and secure way to anchor umbilical catheters.